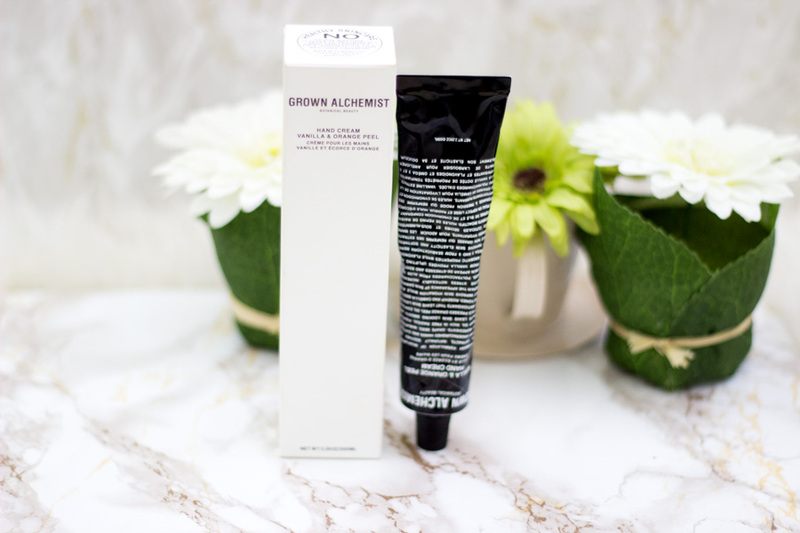 Grown Alchemist is one brand I wanted to try for the longest time but I did not really know where to start. I was mostly attracted to their packaging which is absolutely amazing and aesthetically pleasing. I just find that anything that looks minimalist just looks so classy and sophisticated and truly, less is more. 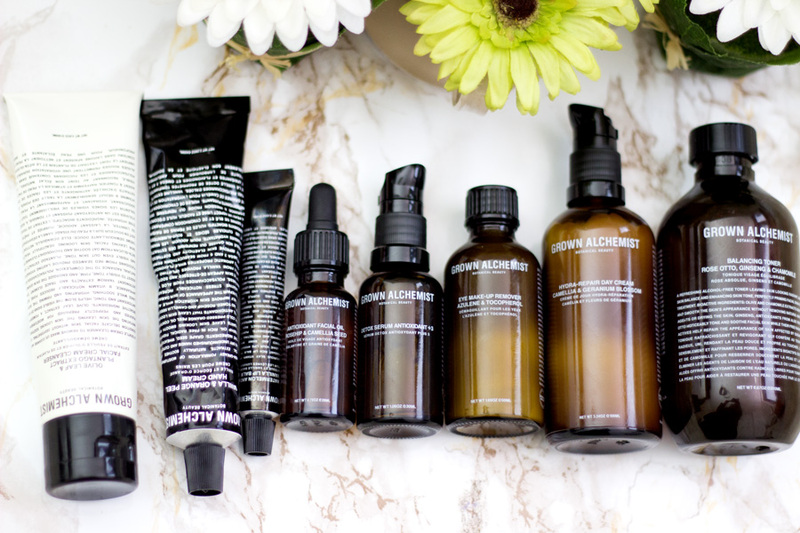 More importantly, they are a Green Beauty brand so I leapt at the chance to try out a complete skincare when I was offered and I have absolutely enjoyed them. 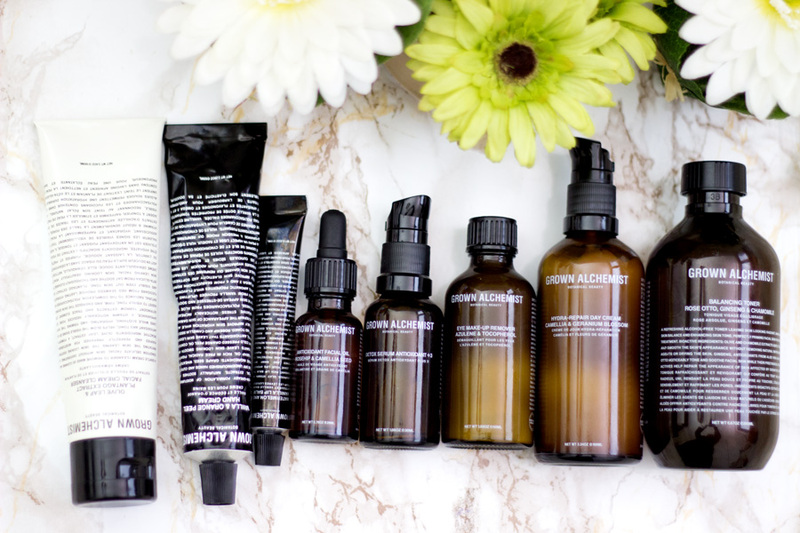 I can't say I am at the point where I can completely shift to organic beauty, skincare and makeup but believe me, I have been tempted with Grown Alchemist. 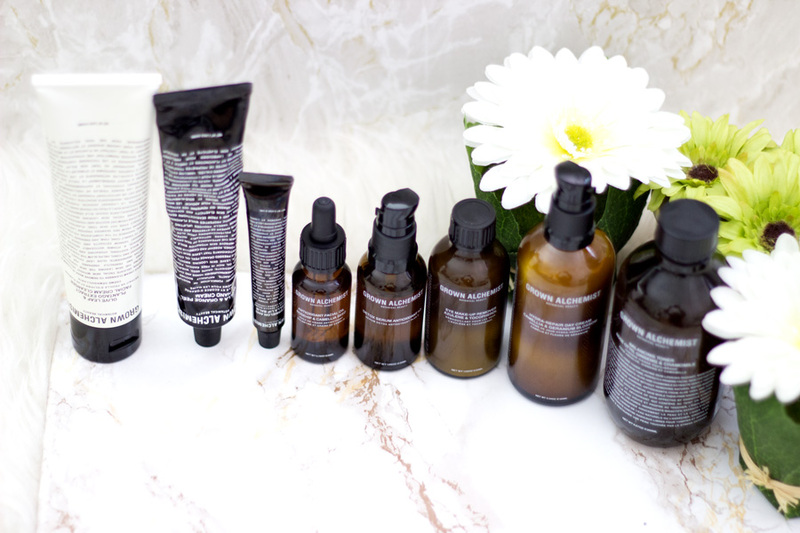 I was sent a wide range of their products to try out a complete skincare regime. I am sure you may have seen them featured in my Mother's Day Gift Guide, February Favourites and March Favourites. They have also been featured a few times on my Instagram because let's face it, they are very photogenic (no need for filters or fancy cameras as they just look perfect). I have used them for almost two months now and I thought it would be great to share my thoughts on them. 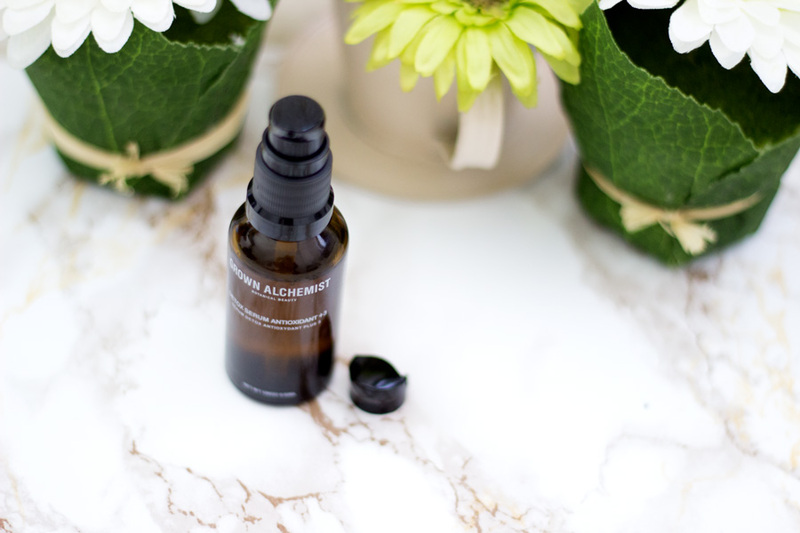 Grown Alchemist was founded by Australian brothers Keston and Jeremy Mujis who are passionate about encouraging the skin's cell renewal and regeneration through the use of the highest quality organic ingredients. 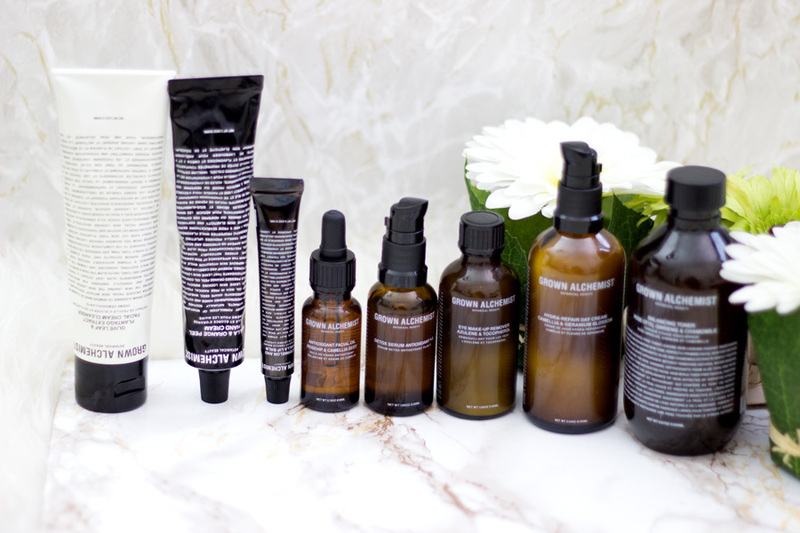 The brand utilises organic skincare formulations comprising of natural technologies that have revolutionised the traditional approach to anti-ageing skincare, body and hair care. Their products are super effective as they use bioactive ingredients that the skin recognises (some occur naturally in the skin) including Collagen and Elastin Boosting Actives, Advanced Peptides, Hyaluronic Acid, Powerful Antioxidants, etc. These ingredients are certified organic botanical ingredients and powerful natural actives which provide better results without harmful artificial chemicals. 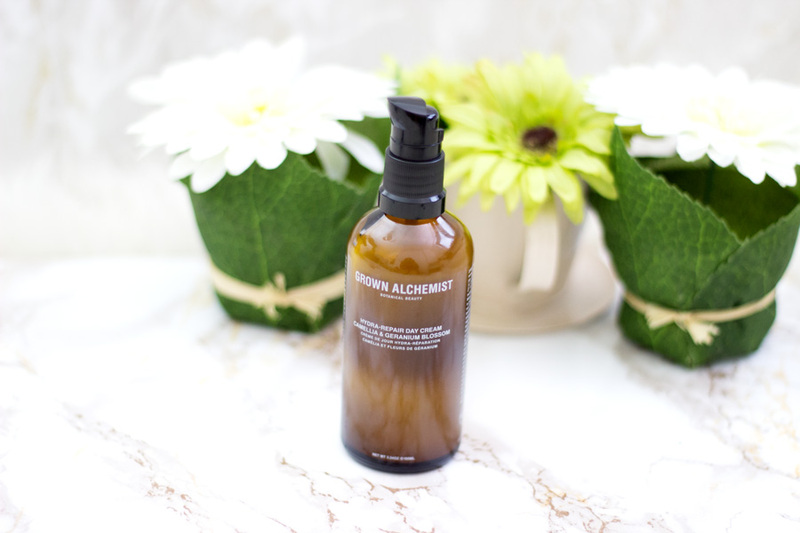 Grown Alchemist do not test on animals and they do not use any animal ingredients in their products. They are also PETA approved. They take pride in formulating their products without the use of Lauryl Sulphates,Glycols, Petrochemicals, Silicones, Parabens, and PEGs. You can read more about the brand here. 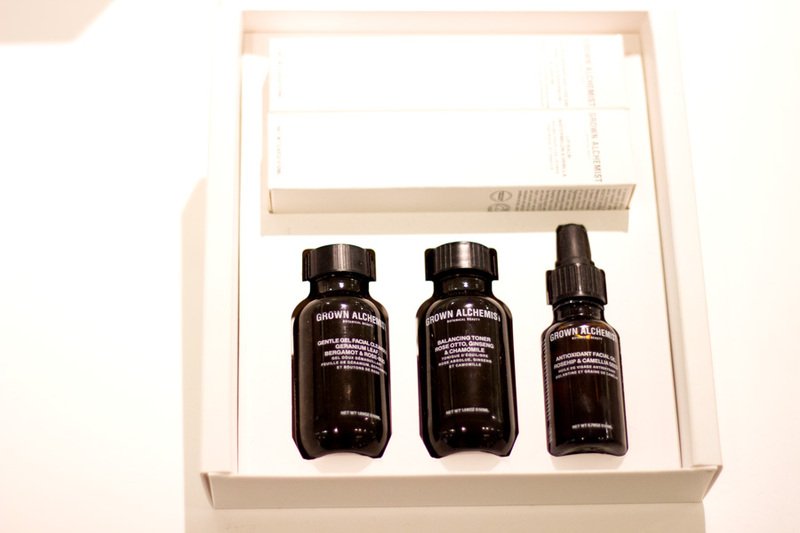 Grown Alchemist's ideal skincare regime consists of three major steps including Cleanse, Detox and Activate. Majority of their skincare products fall under these three categories and the explanations behind each step is really easy to understand. 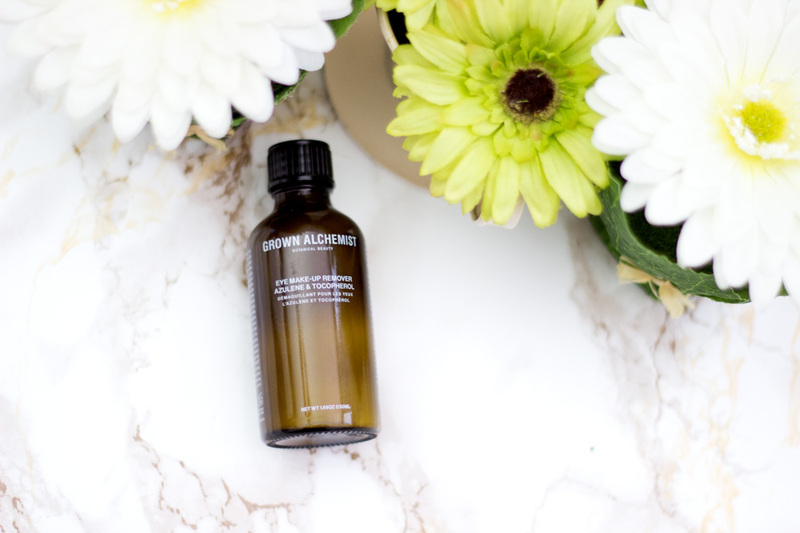 The Cleanse Step aims to remove any impurities from the skin and Grown Alchemist endorses a double cleanse which I am a huge fan of. This stage contains various products including Gel and Cream Cleansers, Masques, Toners, etc which are gentle, effective and respect the skin's natural PH levels. Toners are also a big part of the Cleanse stage as it helps prime the skin to receive other products to work on a deeper level. The next step is the Detox which is one of my favourites and I wish more brands would include this step. The Detox stage aims to help the body dissolve and remove toxins that it may have accumulated from the environment as a result of air pollution, free radicals, UVA/UVB rays, etc. The Detox stage contains only one product and it is packed with powerful antioxidants that help with its detoxification actions. The last step is the Activate which provides advanced and targeted assistance to prevent and repair damage to the skin's molecular structure. This stage contains various products including Moisturisers, Day Creams, Night Creams, Serums, etc. You all know how I feel about packaging as it can make or break a product. In this case, the packaging makes the already effective product outstanding. Some Grown Alchemist products come in Amber Glass bottles which remind me of what you would find in a laboratory, apothecary or pharmacy. Amber Glasses are known for protecting the products within them from external conditions like light, humidity, etc and prevents unnecessary reactions to the products. They also have beautiful pumps, pipettes or droppers that allows for ease of use and prevents wastage. 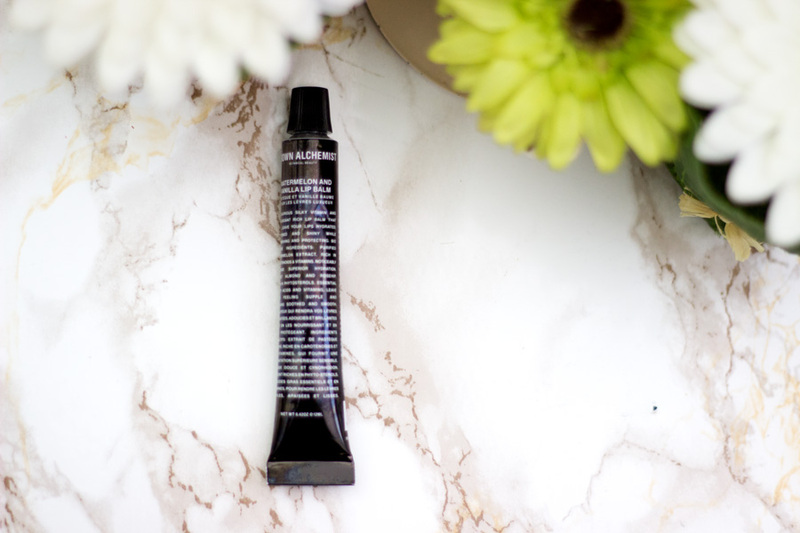 Some products within the range including the Hand Cream, Lip Balm and Cleanser comes in an aluminium tube which I have a love-hate relationship with. I love these tubes because you can get every single drop of product out by manually squeezing it or using a metal tube squeezer. However, it bothers the little OCD fairy in me when they don't look pristine after being squeezed (it's just me being silly). Overall, I am totally in love with the packaging and they look so classy and sophisticated as you would expect from anything monochrome. The good thing is that their packagings are fully recyclable and that's really amazing for our environment. Of course, I had to start off the review with my absolute favourite product from the range. Where do I even begin with my love declaration? First off, it is a cream cleanser so it feels super soothing on my skin and it is perfect for cleansing the skin both day and night. 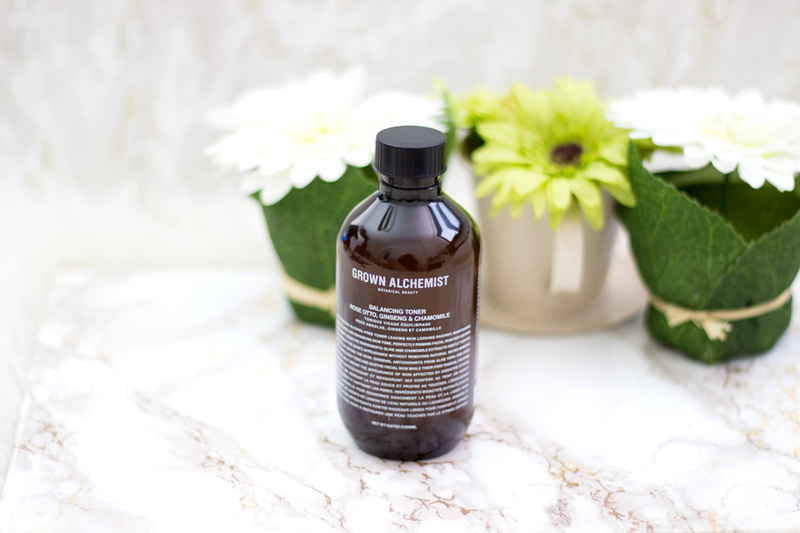 According to Grown Alchemist, this cleanser can be used to remove makeup as a first cleanse and also used as a second cleanse (double cleanse) to nourish the skin. Well, I did that for a few days and decided I did not want to waste this precious cleanser on removing my makeup so I use it mainly as my second cleanse. 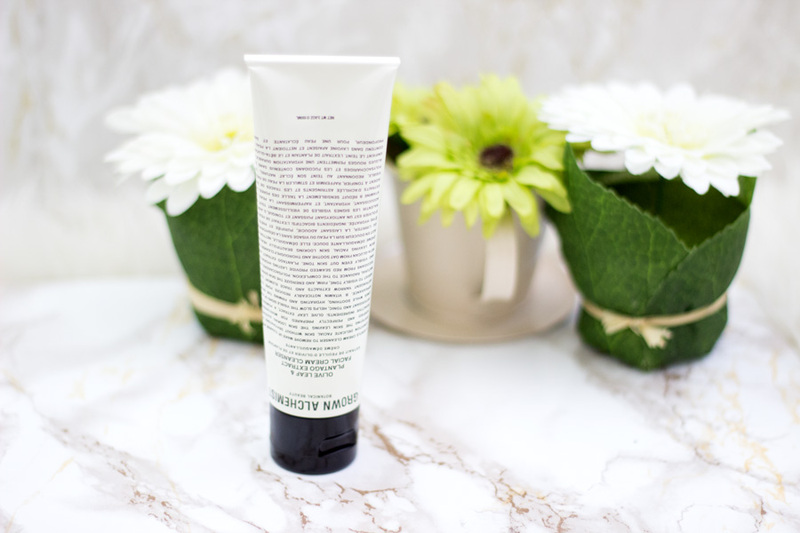 From the name of the cleanser, you can deduce that it contains Olive Leaf Extract (an antioxidant that prevents premature ageing), Plantago Extract (soothes and thoroughly cleanses the skin), Vitamin B (reduces the appearance of pores) and Yarrow Extract (an Astringent and Toner) amongst other organic ingredients. It applies like an absolute dream, so creamy, gentle and soothing yet it works so effectively. I start off with giving my face a good massage with my hands (as recommended by Grown Alchemist) and finishing off with my FOREO Luna Mini 2*. Not a single trace of dirt can be found and my skin feels incredibly soft and smooth. Honestly, I always look forward to using this cleanser almost everyday and it has made a good difference to my skin. It has lasted a really good while and I would be repurchasing as soon as I run out. (I am already running dangerously low). This was one product I had the littlest faith in and it proved me wrong (very wrong). First off, I always believed that only bi-phase eye makeup removers could remove my heavy and waterproof eye makeup. I was wrong because this little bottle was more than equal to the task. 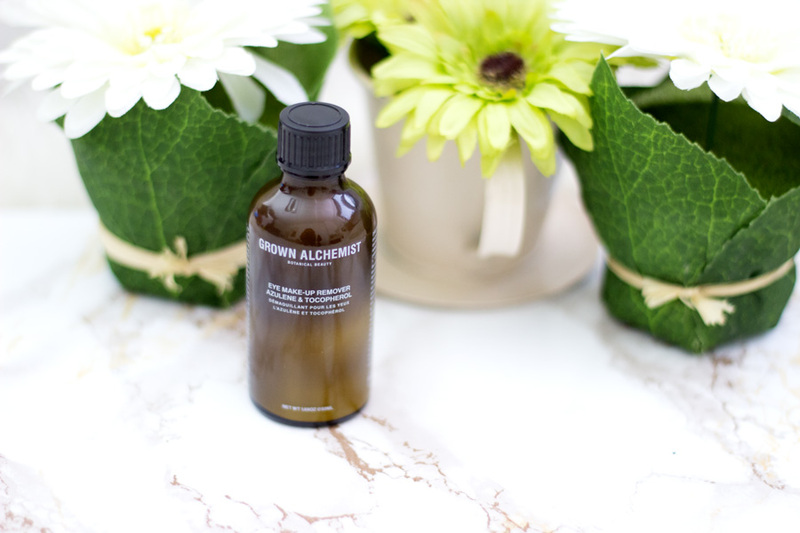 Grown Alchemist describes the Eye Makeup Remover as a highly effective eye makeup remover formulated to dissolve and remove waterproof mascara and makeup without drying out the skin. I completely agree with this description as it does what it says on the tin. I am a big lover of waterproof mascara and the only two eye makeup removers that did a good job were the Clarins Instant Eye Makeup Remover and the L'Oreal Gentle Eye Makeup Remover. The first time I tested this eye makeup remover I was surprised to see that it had a milky colour and consistency and I don't think I have tried out an exclusive eye makeup remover with this texture/colour. I think it may also be bi-phase (as in containing some oil) but it is very hard to detect. I give the bottle a good shake and pour the littlest amount on a cotton pad and gently hold it against each eye for a few seconds. I gently swipe and my eye makeup is off with no panda eyes, no irritation and no residue. It's really remarkable and I am welll impressed with this little bottle. 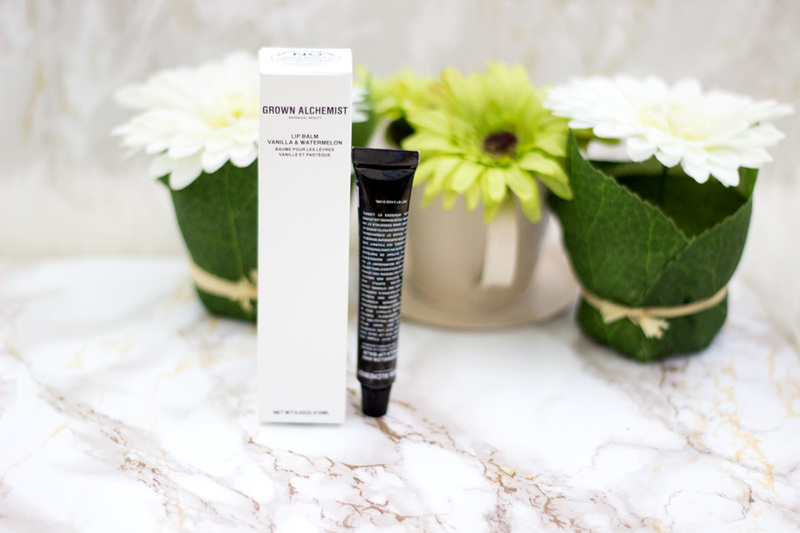 It also boasts of a really good ingredient list including Tocopherol (Vitamin E), Wheatgerm Extract and German Chamomile which are super gentle for the eye area. It's totally worth trying out and I know the price and size of the bottle (£19) may be off putting but you need the littlest amount which goes a long way. The best thing about the size is that it is travel friendly so it can be popped in the travel skincare bag for trips. It also has a secure lid so no accidents although it is a glass bottle. 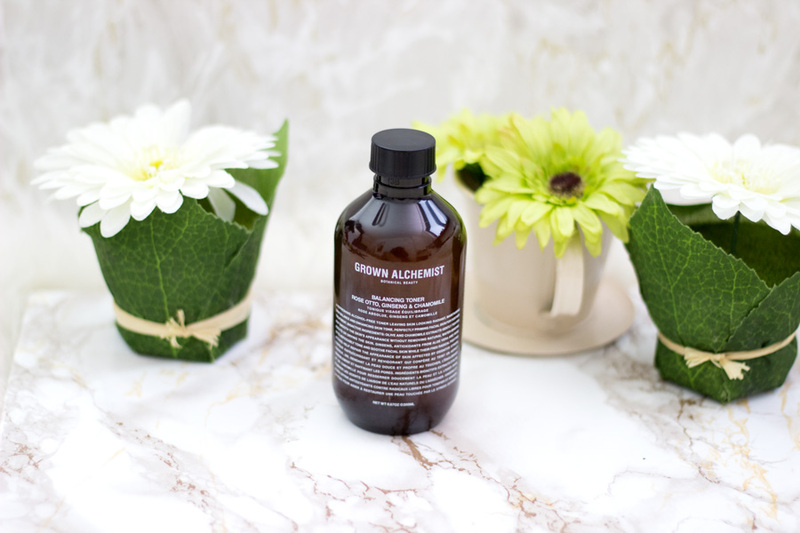 I usually opt for a toner when I am done with cleansing my face and this toner is perfect for restoring the skin's normal PH and balancing out moisture levels. The Balancing Toner is an invigorating and refreshing toner designed to give the skin an instant lift and radiant glow. I just pop some onto a cotton pad and swipe it across my face. It feels very hydrating and super refreshing especially after cleansing my face. It has a beautiful mix of hydrating and soothing ingredients in its formula including Olive and Chamomile Extracts (which gently tighten and smooth the skin), Aloe Vera and Ginseng (which soothe the skin) and Vitamin C (which defends the skin against free-radical damage). It feels just like water but way more soothing and I love it. I use it alone when my skin is on its best behaviour or as a second toner after using an AHA toner. If you are into AHAs and you find them a little drying on your skin, this toner is perfect for balancing out and soothing your skin. I really recommend it and the large bottle means it would last forever!! 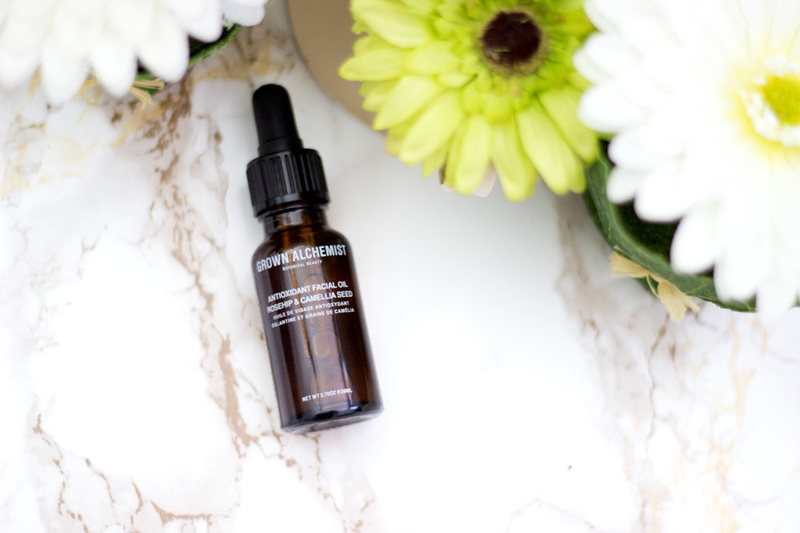 This serum has been featured more than a few times on this blog and I am absolutely obsessed with it (It is already on the repurchase list along with the Hydra-Repair Cleanser). 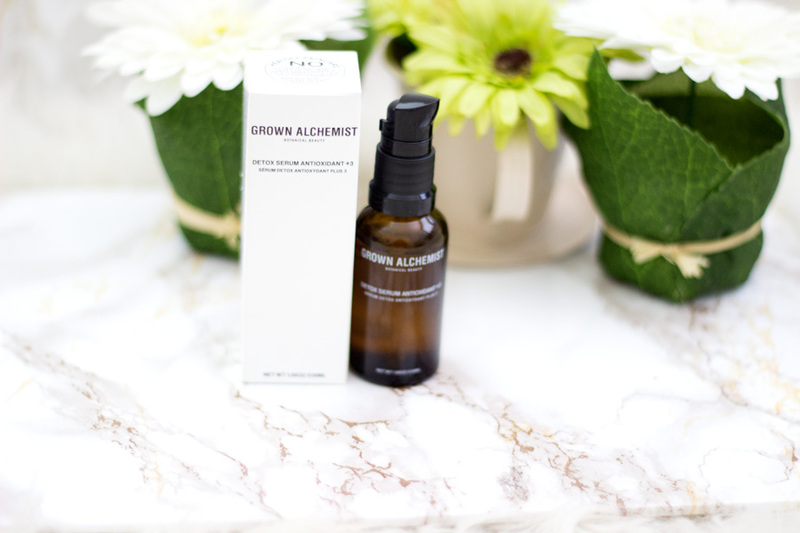 The Grown Alchemist website describes it as a light weight, oil free instant absorbing serum which detoxifies the skin of not only oxygen free radicals but also of carbon and nitrogen free radicals. I am no expert on free radicals but they are responsible for premature ageing of the skin and other skin issues. I was really keen to see how it lived up to expectations. First off, it comes in a cute glass bottle complete with a pump which dispenses the right amount of product. This is hardly a product that you want to waste as it is quite expensive at £39 but totally worth every single drop. The texture is exactly like water which makes it a little tricky to apply. I pump out two drops into my palm and press it against my face and enjoy all of its goodness. Once it hits the skin, it instantly transforms it by adding some radiance making it look very healthy. 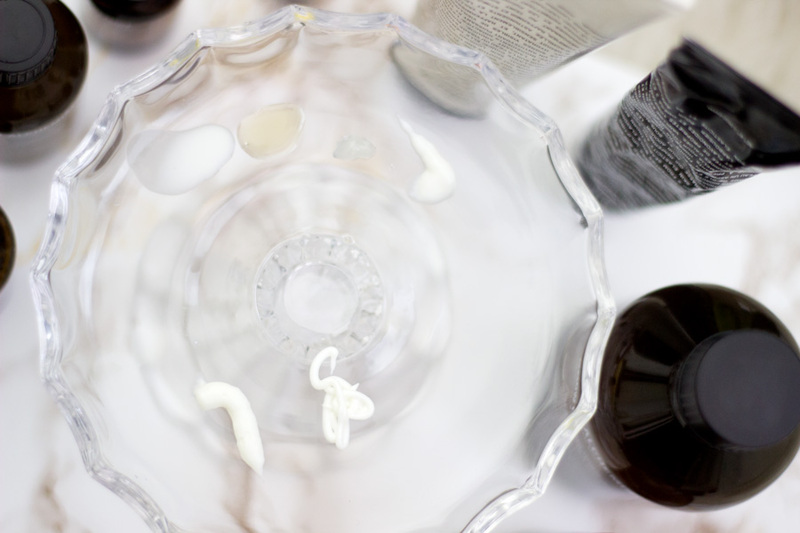 It is so easy to detect as my skin just comes alive and ready for the rest of my skincare. I love how refreshing it feels and I just can't get my head around how it works its magic. It also boasts of an impressive ingredient list including Tri-peptides and Complex Antioxidants. This has really, really changed my skin and when I used it exclusively, my skin looked so radiant, free from breakouts and healthy looking. I always got loads of compliments in person and via my pictures. I would highly recommend this serum which can be used both in the day and night. 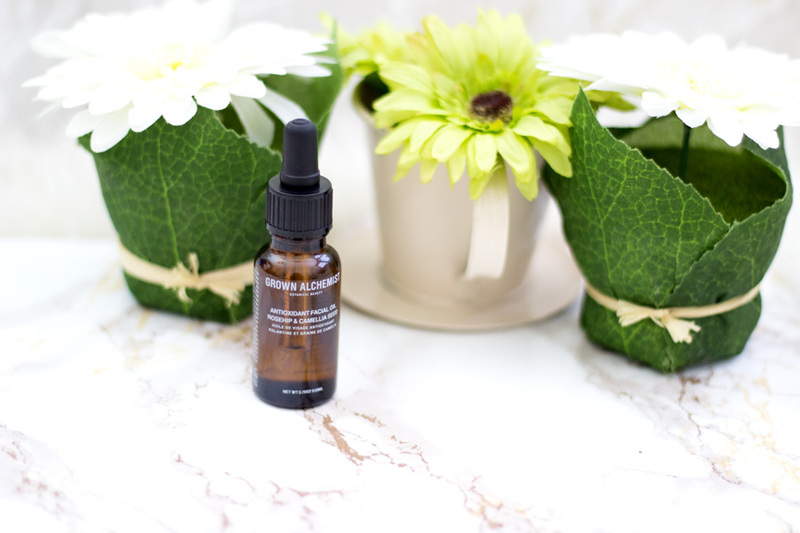 If you live in a city or any fast paced environment filled with all kinds of skin damaging free radicals and environmental pollution, this serum would help protect the skin. It also protects the skin from UVA/UVB rays and I can't sing enough of its praises. The first thing that attracted me to this day cream was the fact that it was non-greasy and that's why I knew we would get along. I have combination-oily skin and I always opt for non-greasy day creams although I don't mind using oils at night. I know there would be minimal interaction with my foundation and I won't get oily/shiny during the course of the day. The Hydra-Repair Day Cream is described as a non-greasy nourishing facial moisturiser which noticeably improves the skin's hydration levels without leaving any residual oil or shine. It contains Camellia and Rosehip Oil which are known for visibly hydrating and conditioning the skin. It is also enriched with Jojoba Oil, Cane Sugar and May Blossom which all work together to normalise the skin's appearance by rebalancing the natural sebum levels. I love to use this day cream straight after the serum and it just works so well. I secretly feel like it may have some priming properties as my foundation glides on so smoothly each time I use it. I love everything about this day cream and I don't see it finishing any time soon as it is a large bottle (100 ml). The pump dispenses the best amount for my face so there is minimal wastage. 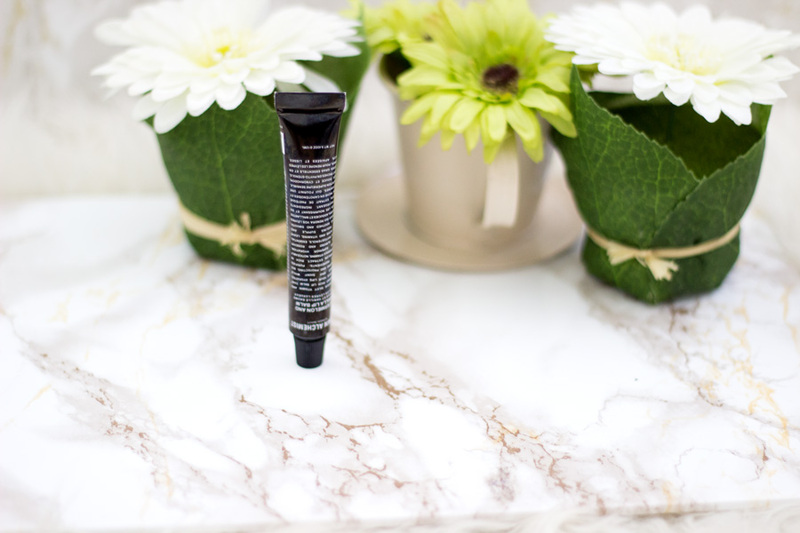 If you have combination oily skin, you would adore this day cream. I think people with any other skin types would love this as well because it really maintains the hydration and moisturising levels of my skin. I am a huge oil lover but mainly for nights because they tend to make me shiny when I use them under makeup during the day. I feel like oils have made such a difference to my skin and helped control my oil levels (and prevent unnecessary breakouts). I know people with combination or oily skin or even sensitive skin tend to avoid oils but they are good for the skin (provided you buy from a good source). The Antioxidant Facial Oil is a rich certified organic facial oil which provides the skin which stimulates the skin's natural regeneration and renewal process. This was my first time trying out Rosehip Oil (well, two months ago now) and I am so pleased I got a chance to do so. Rosehip Oil has many skin benefits but I was after its effectiveness against hyper pigmentation. 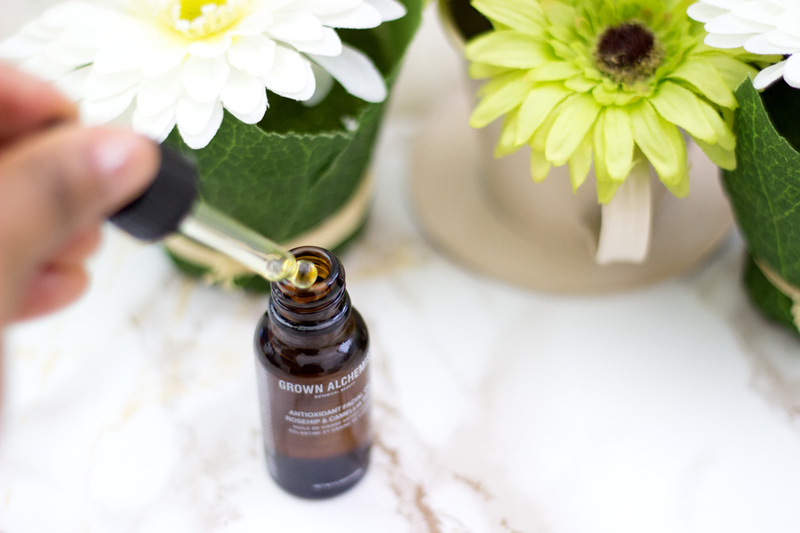 The Antioxidant Facial Oil contains Rosehip, Tocopherol (Vitamin E) and Camellia Seed Oil which noticeably soften and make my skin smoother while actively hydrating the skin as well. 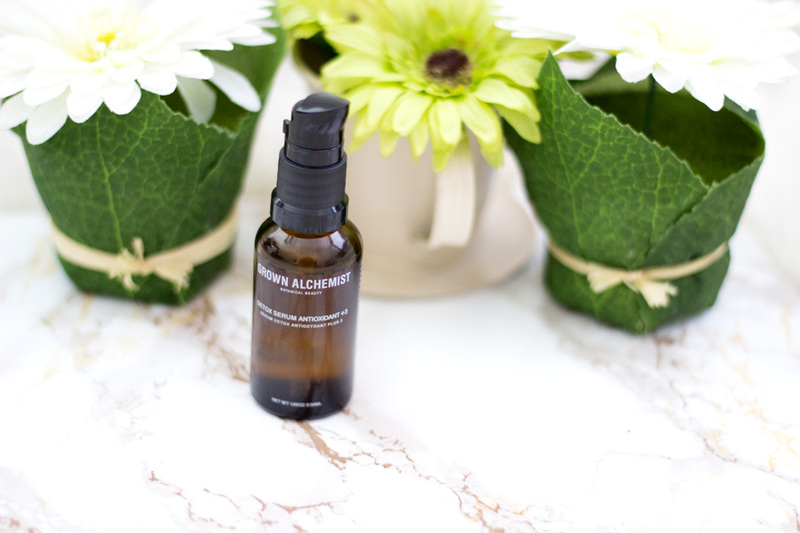 I use this oil mainly at night immediately after the serum and it has been amazing. It has helped fade some hyper pigmentation around my cheeks although I find that I need to use it more consistently for more results. It is not the lightest weight oil I have tried but since I am using it at night it does not bother me. It gives my skin a radiant glow that is still noticeable in the morning. The little pipette is so cute and helps me apply the exact drops I need. It's only 20 ml but the two drops is more than enough for my entire face. 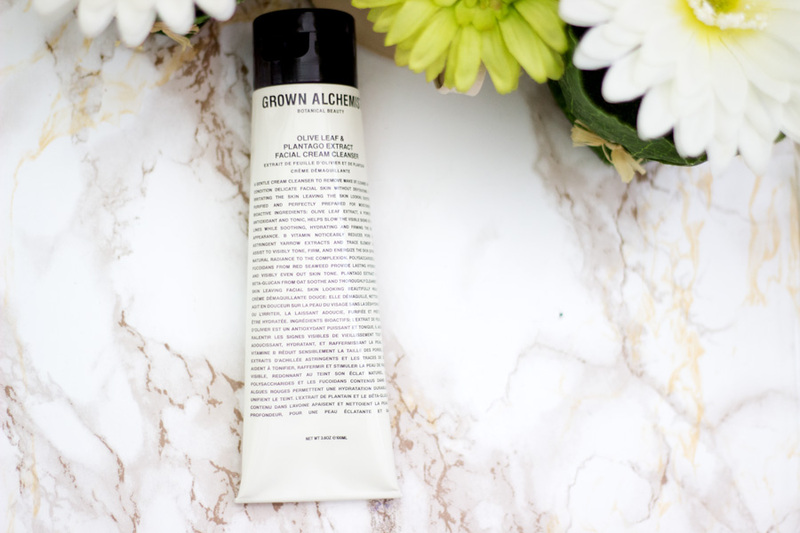 This was actually the first product from Grown Alchemist I ever tried and I fell absolutely in love with it. I loved the packaging and how classy it looked each time I pulled it out from my hand bag. It comes in an aluminium tube but it feels quite light weight. The fragrance is absolutely amazing and I don't think I have ever tried anything like it. I have spoken about it in my Hand Creams Collection Post here so I won't dwell too much on it. 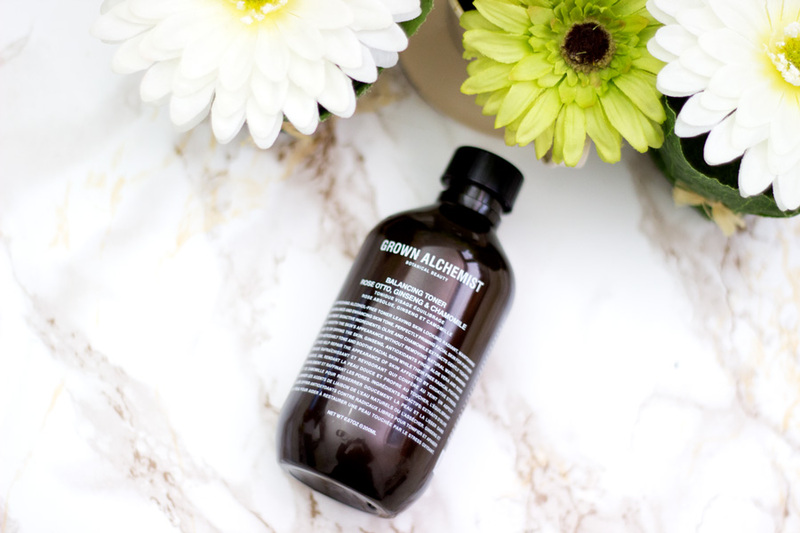 Essentially, it contains Grape seed, Wheatgerm, Rosehip Oil, Sea Buckthorn, Vanillin and Cold Pressed Orange Peel Oil which all contain antioxidants that are amazing for fighting free radicals. Now, the hands are one of the first parts of the body to show signs of ageing or any stress and it is surprisingly one part that it is usually ignored. We use our hands in so many ways and it is subjected to a lot of distress and is exposed to environmental pollution compared to parts of our bodies. These antioxidant helps prevents any premature ageing of the skin around the hands and provides really good hydration and moisture. It can also be used on the cuticles which I love especially for mani days. If you use your computer a lot to type and you suffer from dry hands, you would really enjoy this hand cream. I really like it a lot. I have never seen a mixture of watermelon and vanilla so I was really excited to try this Lip Balm and I absolutely enjoy using it. It is described as a luxurious antioxidant and vitamin rich lip balm that promises to leave the lips hydrated, softened and shiny. I know you are not meant to taste your lip balm but it does taste quite lovely the few times it has happened. I had no idea that vanilla and watermelon would make such an amazing combo. It feels really light on application and it does not feel greasy at all which I am so pleased about. You can feel it is there on the lips but it does not sit on it in an unpleasant way. I tend to use this more at night before bed so I am sure of waking up to supple and soft lips. My only snag is the packaging. 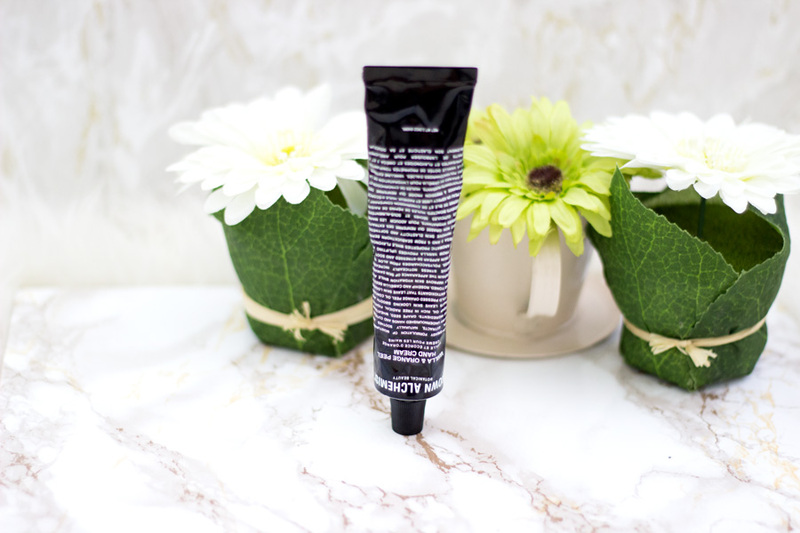 It comes in a super cute slim tube but for some bizarre reason, the product still spills out after I have dispensed the smallest amount. It is not uncommon with metal tubes but it makes me slightly sad as I don't want to waste this lip balm. I don't even bother pressing it because there is always some excess on the tube. Apart from this, I really like this lip balm and it's a staple part of my night time routine. I am sure you would have noticed that they are not the cheapest products out there and it's not uncommon with certified organic products. The quality and science behind the development of these products are remarkable and you are sure of what you are putting on your skin. The quality of the products and the ingredients used is amazing and they have really helped my skin. 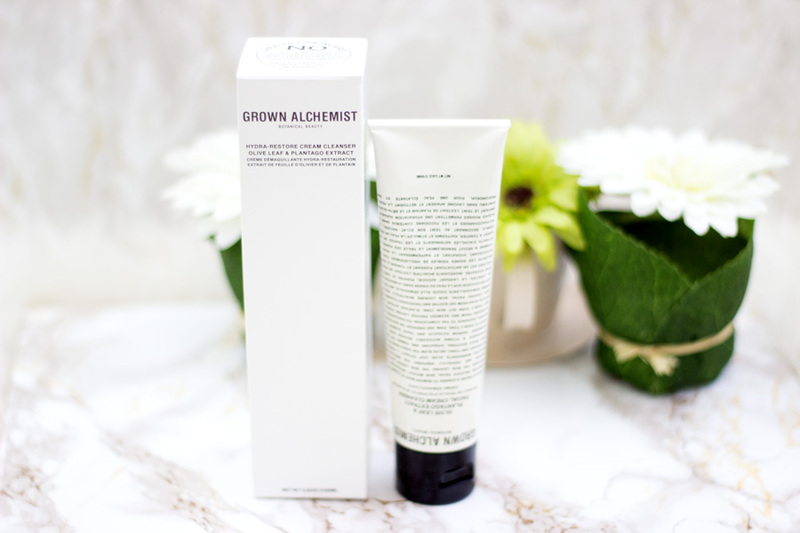 You can find Grown Alchemist on their website (they ship to the UK and offer free delivery over £65), Space NK, John Lewis, Feel Unique, Beauty Bay and Cult Beauty, etc. Fancy a Free Grown Alchemist Facial? Now the exciting part- if you are around Oxford Street, London and you happen to wander into the Grown Alchemist counter in John Lewis. 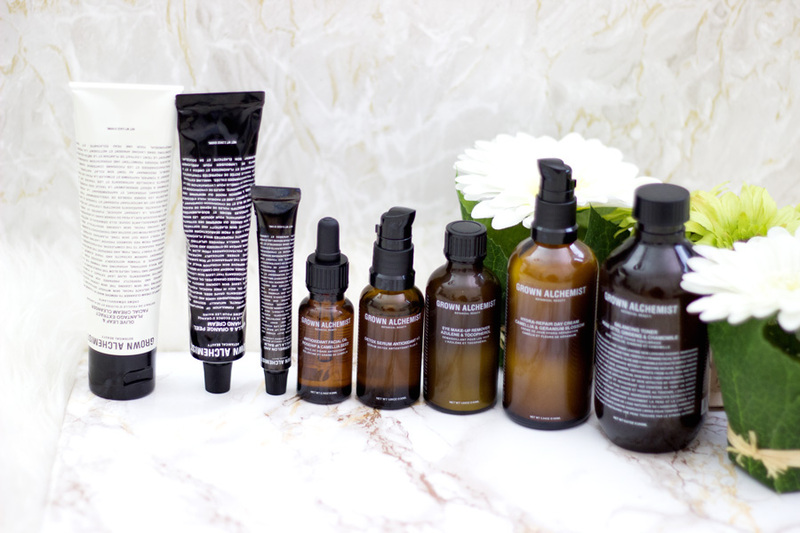 You can book in for a free 15 Minute Facial with the amazing Grown Alchemist Products. I have not had one yet but I would be popping over soon to test it out. I really recommend checking the counter out because you can see and test these products for yourself and you may get some samples to test out at home. The downside of being introduced to amazing brands is the fact that you have a super long (and expensive) wish list. I feel incredibly lucky to have been sent these products and I know I would be repurchasing some when they run out. 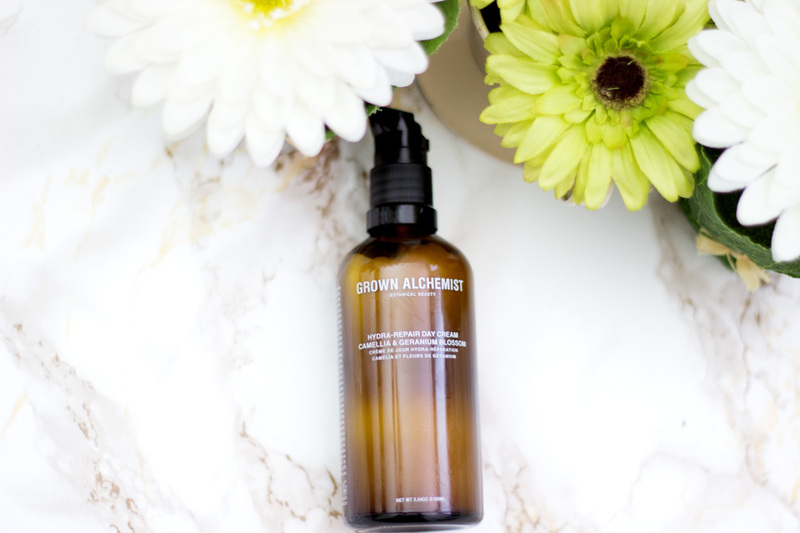 It's rare to just love all the products within a brand with all my heart but that's the case with Grown Alchemist. I love all the products I have tried out although I do have my favourites - Detox Serum and Cream Cleanser. As mentioned earlier, it truly made me start considering switching to Green Beauty and I know it would be a part of my life some day soon. I hope you enjoyed this post and I would see you in my next post. 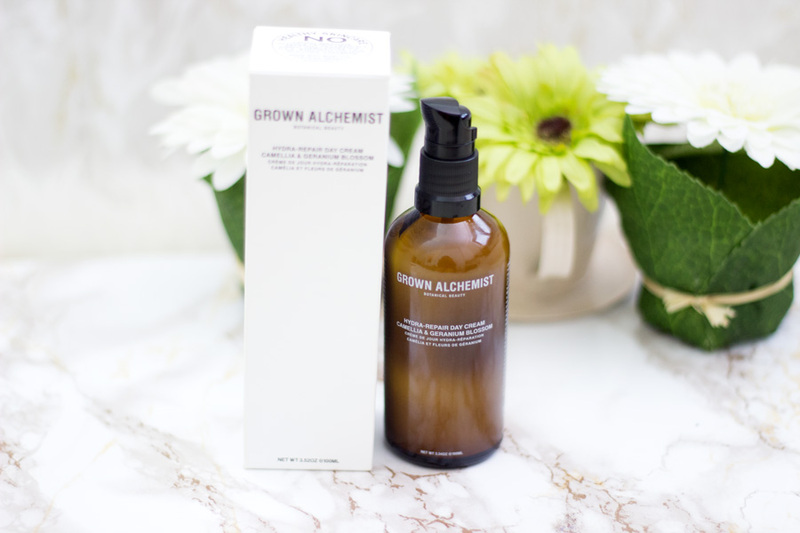 Have you tried any products from Grown Alchemist? 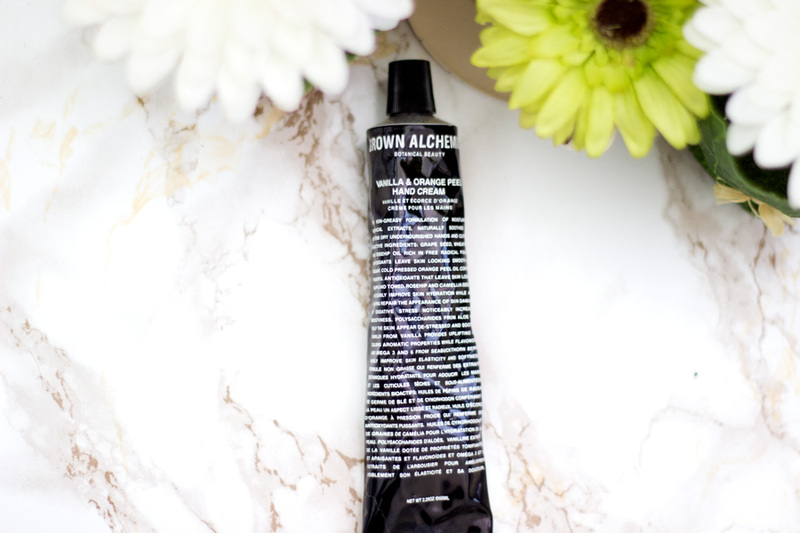 I have tried many of these Grown Alchemist products, and am beyond delighted! I got results fast. I used the anti aging line mostly. The only product that I was extremely disappointed in was the eye make up remover. It burned my eyes!